Reel Talk Online: First Look: "Hanna"
Oscar nominee Saoirse Ronan (Atonement, The Lovely Bones) shows no signs of slowing down. After starring in last year's heartbreaking chiller The Lovely Bones, Ronan is headlining next year's action thriller Hanna, co-starring Cate Blanchett and Eric Bana. The 16-year-old plays a teen trained to be a cold-blooded assassin by her father (Bana), an ex-CIA agent. Her latest mission sends her across Europe where she smoothly dodges agents and others in her path (including one shady intelligence operative played by Blanchett) until she encounters a French family who introduce her to a conventional life, which also opens Hanna's eyes to a startling fact about herself. 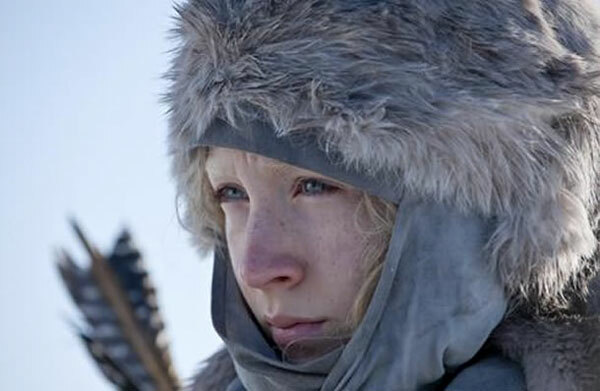 Hanna heads to theaters April 8, 2011. Another film by Joe Wright that looks interesting. I do love Blanchett, although here it seems that Ronan steals the show. Thanks for the trailer! Wow, this looks good! Thanks for posting Candice.